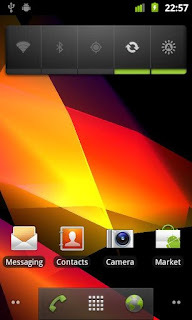 One of the biggest advantages Android has over iPhone is that you can install live wallpapers on it. These moving wallpapers, though a little battery-intensive, do make your phone stand apart from the crowd. Whether it is a scenic beauty or gentle ripples that calm you down, these wallpapers do really look good on your smartphone. And out of all the nice ones, we’ve come up with the list of the 10 best live wallpapers to decorate your phone with. 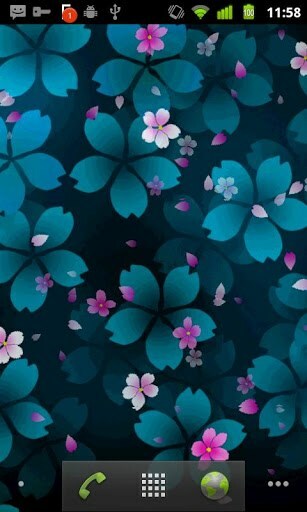 This live wallpaper simulates the falling of beautiful sakuras on your phone screen. Sakura, also known as cherry blossom, is Japan's unofficial national flower. It has been celebrated for many centuries and holds a very prominent position in Japanese culture. The live wallpaper shows touch-interactive sakuras dancing in the wind. Completely free, this gorgeous beauty comes in different colors so that you never get bored with it. This live wallpaper includes gentle snowflakes falling over beautiful pine leaves. Nothing short of breathtaking, this app comes with support for landscape mode as well. The scenery is so beautiful that for a while you might think that it’s actually a movie. Rated 4.6 out of 5 stars, Snowfall Live Wallpaper can be downloaded from the Google Play Store. Everyone loves the feeling of rain. 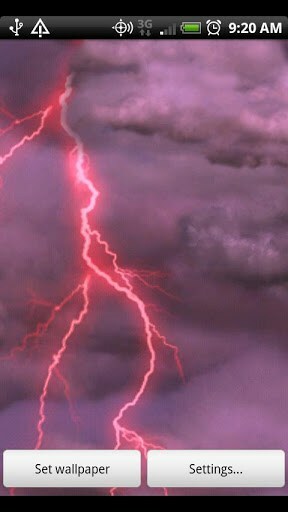 Backed by OpenGL, this next live wallpaper gives you the exact same feeling of a thunderstorm. With moving clouds and realistic lightning bolts, the app gives a completely new look to your phone. What’s more, you can even customize the bolt frequency, wind speed, bolt color and many other factors in the paid version. 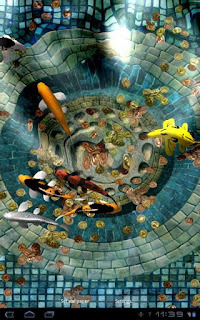 Koi Free wallpaper includes a live interactive fishpond that brings a peaceful calming effect on your phone. Simply double-tap to feed the fish and they move to your touch. Everything from the water to the fish is in 3D and looks quite realistic. Definitely worth a try. 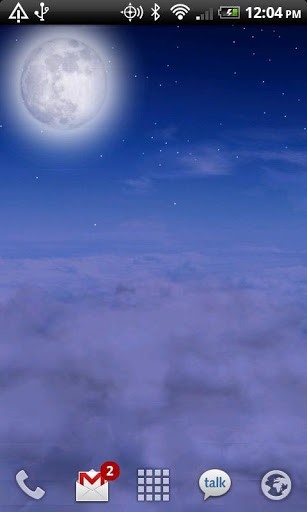 With colorful balloons drifting through an open sky, this next live wallpaper puts you up in the air. 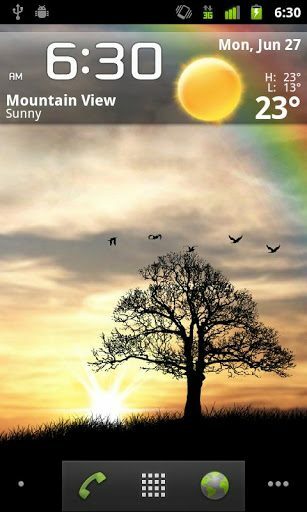 With a clear view of the bright blue skies, this interactive app brings the feeling of flight right on your home screen. Though not free, this OpenGL-based app will definitely help you relax after a busy day. This live wallpaper brings the best feeling of sunrise to your home screen. Once installed, this free application comes with an animated scene of the morning sky. Also in the scene is a silhouette of a tree, a rainbow and some birds starting their day. 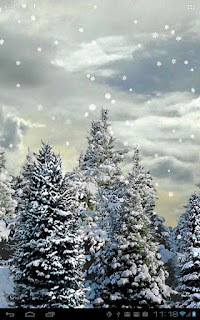 Bring that chill of winter even on a hot sunny day with this Christmasy live wallpaper. 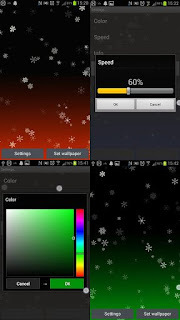 With hundreds of different high definition snowflakes, the wallpaper can also be customized to the user’s liking. This gorgeous live wallpaper displays beautiful colors hidden in shapes. Once installed, you can customize the colors that show up. 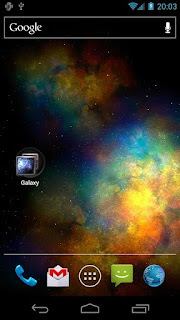 A beautiful vista of the galactic nebula, this next live wallpaper transports you into outer space. Compatible with Ice Cream Sandwich, Vortex Galaxy is rated 4.6 out of 5 stars in the Google Play Store. 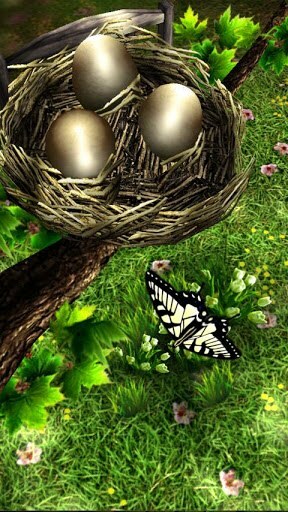 With this highly popular live wallpaper, you get to see the beauty of every natural season in high definition. Season Zen includes spring, summer, autumn/fall, and winter themes that can be switched at your every whim and fancy. The app also lets you change the time of the day, birds, butterflies and many other environmental aspects.